Competition Automotive has been established in its current location since 1977; that is over 40 years of experience working for you. Originally we were a team of race car enthusiasts who took their passion for high performance cars from the track to the shop. Our early days of drag racing in the 60’s and 70’s built the foundation for who we are today. Whether it was building and racing a pro stock car or overseeing engines for the Rothman’s Porsche Challenge Series, Competition Automotive has lent its expertise to the automotive racing industry. We have worked in conjunction with various teams in NHRA. Our years of competing in the Continental Tire and Rolex series has garnered us experience in endurance racing with respected name such as Honda, Porsche, BMW and GM. Competition Automotive has built and dyno tested engines for Chrysler for its crate engine program; we have also dyno tested and crated engines for the Canadian military. These experiences are all part of our past, but moving forward Competition Automotive continues to provide its expertise in today’s market. We have grown over the years and now have 3 divisions to better service your needs. Competition Automotive is our engine building division that offers a full array of machine shop services as well as engine rebuilding and restoration. Central Ontario Cylinder Head is our cylinder head reconditioning and rebuilding division, and Ceramtech is our component coating division. Central Ontario Cylinder Head is our Richmond Hill cylinder head reconditioning and rebuilding division, offering general and specialized services to meet all your cylinder head needs. 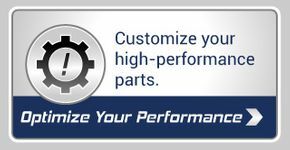 Ceramtech is our component coating division that provides high-performance engine coatings.